Wellness Within Your Walls is a Finalist for the NAHB Global Innovation Award! 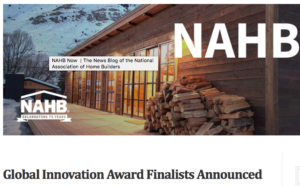 We’re so thrilled and honored to have been chosen as one of the five finalists for the NAHB Global Innovation Award, which celebrates the home building industries most innovative products and services. 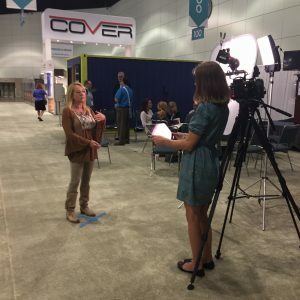 Check out this NAHB blog post for the details and a list of all the other great finalists. The winner will be announced at next week’s International Builders’ Show. Keep your fingers crossed for us! 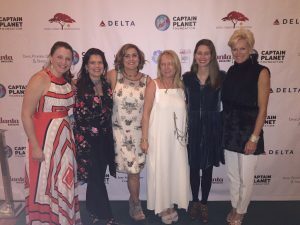 The Wellness Within Your Walls team was so thrilled to have the chance to support our good friends of The Captain Planet Foundation at their annual gala last week in our shared hometown of Atlanta. His project, the Prince’s Natural House, built in 2012 by the Building Research Establishment (BRE) in Watford England under the auspices of the Prince’s Foundation to demonstrate using natural products to create a low carbon house, makes a significant appearance in the Wellness Within Your walls courses. We also loved meeting Tony Juniper, a well known speaker, writer, and advisor on environment, conservation, and sustainability issues, who accepted the award on behalf of the prince. 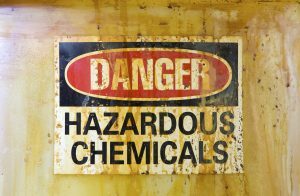 Earlier this week, the Environmental Protection Agency released the list of the first 10 chemicals to be evaluated under the new guidelines of the recently revised Toxic Substances Control Act (TSCA). Check out the EPA website for the list. 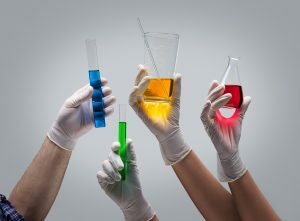 The ten chemicals were drawn from EPA’s 2014 TSCA Work Plan, a list of 90 chemicals selected based on their potential for high hazard and exposure. 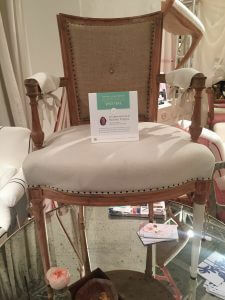 It’s show house season, and at Wellness Within Your Walls, we’re thrilled to be part of several fabulous upcoming ones. We’ll share lots more info later, but here’s the basics. Wellness Within Your Walls is proud to celebrate our role as the Healthy Home Environment team member for The New American Home 2017 and New American Remodeled Home 2017, which are a much loved annual offering at the National Association of Home Builders International Builder’s Show in January. This years show is in Orlando, and both houses are located in the Lake Nona Golf and Country Club community. We’re loving that we have such a visible opportunity to show that building a home with reduced toxins is achievable. We’re also playing a major role in two other upcoming show houses, the Organic Life House at Serenbe, in Chattahoochee Hills, GA and the ABC Green Home 3.0 for Habitat for Humanity, in Fullerton, CA, sponsored by Green Home magazine. All of these houses will be officially designated as Wellness Within Your Homes certified residences. Check back in at the blog for more information, and if you’re near one of these houses, please check out in person how beautiful and healthy a WWYW certified house can be! Calling all interior professionals—including architects, interior designers, building contractors and students—in the Southeast (or further if you’d like to visit beautiful north Georgia!) who want to learn more about healthy and sustainable design. The Campaign for Wool (the recipient of the patronage of Prince Charles-HRH, The Prince of Wales) is is presenting a day-long continuing education seminar called Healthy, Sustainable Design, at the Booth Western Art Museum in Cartersville, Georgia on November 11. Wellness Within Your Walls founder Jillian Pritchard Cooke will be presenting the first of the four WWYW courses, an overview of the WWYW program. Also included are two additional CEU courses, Dyed in the Wool-Wool in the Built Environment , and Energy Efficiency in Historic Structures, as well as tours of the museum and historic houses in town. Tickets and more information. Technology advances aren’t just for driverless cars and faster internet streaming. At Wellness Within Your Walls, we believe that emerging technology is also going to have a huge impact on the building industry, especially within the healthy home segment. 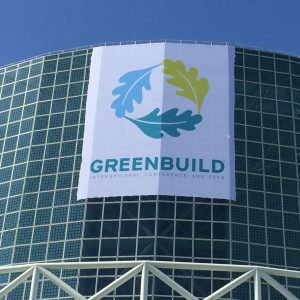 Earlier this month, WWYW founder Jillian Pritchard Cooke was invited to be on a panel, called Tech Force, at the Greenbuild International Conference and Expo, held this year in Los Angeles.The panel, which focused on the role of technology in improving sustainable design and execution for the way we live in our homes, also included Magali Delmas, a Professor of Management at UCLA Institute of the Environment and Sustainability, and Fred Maxik, CTO of Lighting Science, and was moderated by Jaclyn Toole, the Director of Sustainability and Green Building at NAHB. 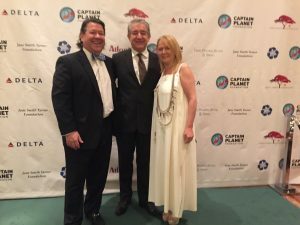 Jillian’s focus on health and wellness included a discussion of how the key to building a healthy home is reducing, detecting and mitigating toxins, and the huge role detection devices and smart home systems will play in the future. A recent study, published this month in the medical journal The Lancet, set out to discover the impact of endocrine disrupting chemicals (which includes such commonly used chemicals as flame retardants and phthalates) on the United States and European Union economies. The toll for the United States came in at $340,000 billion (2.33 of Gross Domestic Product). Because of tighter regulation on toxic chemicals in Europe, the loss is much less significant—$217 billion (1.28% of GDP). In this Time article about the study, author Leonardo Trasande, a New York University environmental health professor, calls for faster review of more chemicals—another voice calling for tougher chemical reform. No surprise, the lobbying group for chemical manufacturers claimed in a statement that the study did “nothing to advance the protection of public health,” and criticized the study’s methods and goals. More High Point Wellness Discoveries! 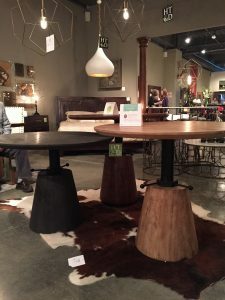 It’s the last day of the Fall High Point Market and we’ve seen so many must-have products that contribute to a healthier home. We’ll bring you just a couple more updates with what our Wellness Spotters have discovered. 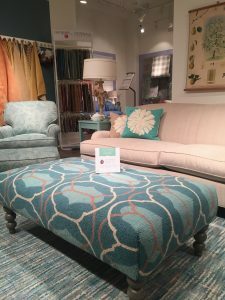 We love the color and pattern on this Rockport Ottoman, from Company C for Norwalk Furniture. 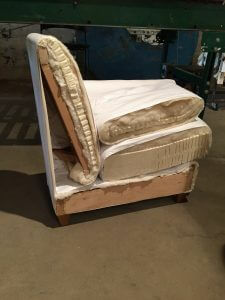 And we love that it’s made from 100% wool, with hybrid fill, locally (Ohio) sourced wood for the legs, and uses water based paint. 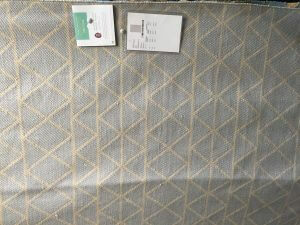 Jaipur Living, made of PET fiber constructed of 100% post consumer plastic (water bottles!). 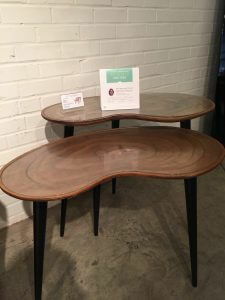 We spotted tables at the fall High Point Market that are not only good looking, eco friendly and healthy too! Fave tables from Platinum Decor are responsibly made of certified Brazilian pine and glass. So Many Fabulous Chairs at High Point! 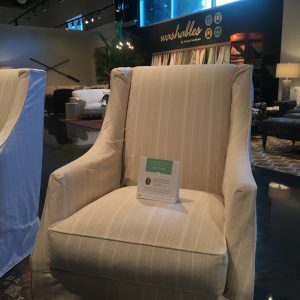 We’ve spotted so many great chairs at High Point! We’re thrilled that there are so many different styles available and from so many different manufacturers. We love this Garden of Eden Leather chair from Lee Industries (right), dyed with vegetable & mineral dyes made from an olive leaf tea. 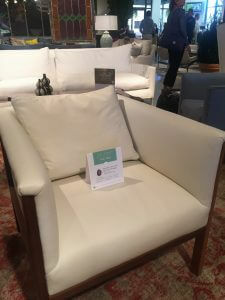 Below, the “Katie” chair from Rowe Furniture, with washable 100% cotton slip overs, 100% down cushions (available, not as shown) and FSC wood frame. In an effort to keep their products out of landfills, new slip covers will be made long after the model is discontinued. 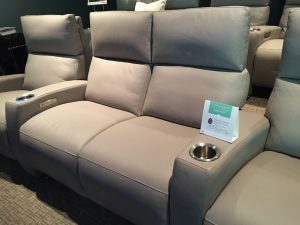 ElmoSoft Monroe Comfort Theatre Seat. Elmo is a chrome free leather, many colors are vegetable dyes, and the manufacturer places an emphasis on water conservation and purifies the wastewater onsite. Ever wondered what those chairs look like inside? Here’s the fascinating cut away view of a Cisco Brothers Inside Green chair– made of natural latex and FSC certified wood.